Former U.S. President Barack Obama and his wife, Michelle Obama, have struck a deal to produce films and series for Netflix Inc, the streaming service said on Monday, giving the former first couple a powerful and unprecedented platform to shape their post-White House legacy. Under the name Higher Ground Productions, the Obamas have the option to produce scripted and unscripted series, documentaries and feature films, Netflix said in a statement. 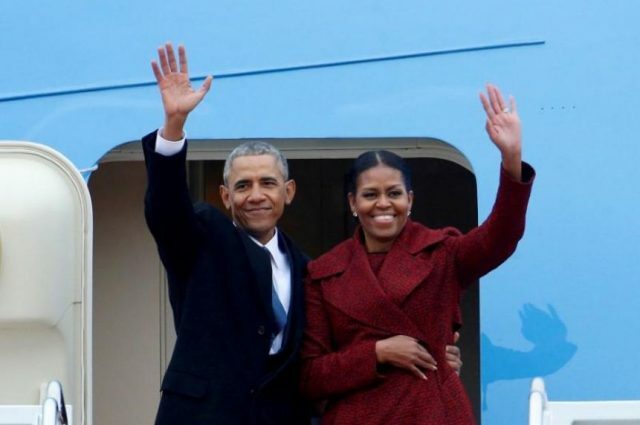 The Obamas will have hands-on involvement in producing content and will appear personally in some of the shows while curating others, said a person familiar with the deal. Terms of the multi-year deal were not disclosed and the first of the programming is not expected to reach viewers until about May 2019, the person said. The agreement between the Obamas and Netflix, which boasts some 125 million subscribers worldwide, is a first for any occupant of the White House. The closest comparison is former U.S. Vice President Al Gore, whose global warming documentary “An Inconvenient Truth” won an Oscar in 2007. Gore also launched a youth-oriented cable TV network, Current TV, in 2005 but it was sold to Middle-East based Al Jazeera in 2013, which later shut it down. The Obamas gave no details of the topics they planned to cover but the content is not expected to be directly political. Barack Obama in a statement recalled the “fascinating people” from all walks of life that he had met during his eight years in office, ending in January 2017. “We hope to cultivate and curate the talented, inspiring, creative voices who are able to promote greater empathy and understanding between peoples, and help them share their stories with the entire world,” he added. The deal with the Obamas also marks one of the biggest coups for Netflix in drawing top-level talent away from traditional Hollywood studios and television networks. Netflix, which has budgeted $8 billion for programming in 2018, is also producing Martin Scorsese’s next film starring Robert De Niro and Al Pacino.